Since the earliest days of biscuit making the customer’s experience has been at the centre of the Huntley & Palmers philosophy. 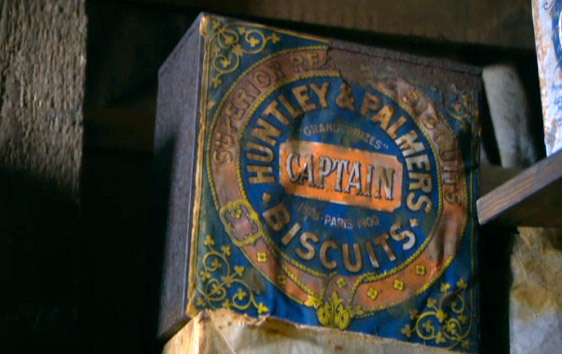 To keep his biscuits as fresh and as desirable as possible, Joseph Huntley persuaded his youngest son Joseph Junior, an ironmonger, to develop a way of producing high quality and attractive tins to store and transport his biscuits across the country and beyond. By the time Joseph’s eldest son Thomas Huntley partnered with George Palmer to create the famous Huntley & Palmers, the tins were being custom designed to fit in volume into carriages, canal barges and trains at the turn of the steam age to meet the increasing demands of their customers. Fast forward many decades and in the same spirit as Joseph with his tins, we have taken a look at “the packaging” of our website and decided it was time for a new approach that is both modern and traditional with a fresh but familiar look that is fitting of our heritage. The company has always prided itself on keeping up to date with the new demands of the industry and has always kept the customers at centre of everything that we do, which is why we have created this new website to improve our customer’s experience and keep Huntley and Palmers up to date and ready for the future with the latest in web technologies. 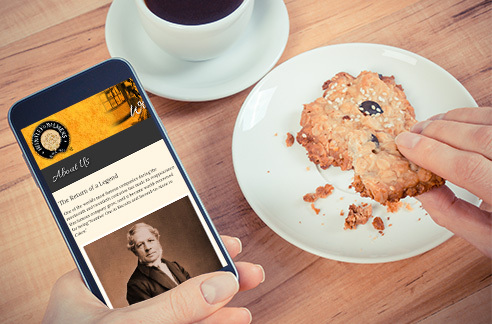 We are looking forward to many more years as the world famous biscuit company that everyone knows and loves and we are very excited to share our new website with you.